Add to Your Favorite Beverage! The Original Formula Created by a School Teacher! 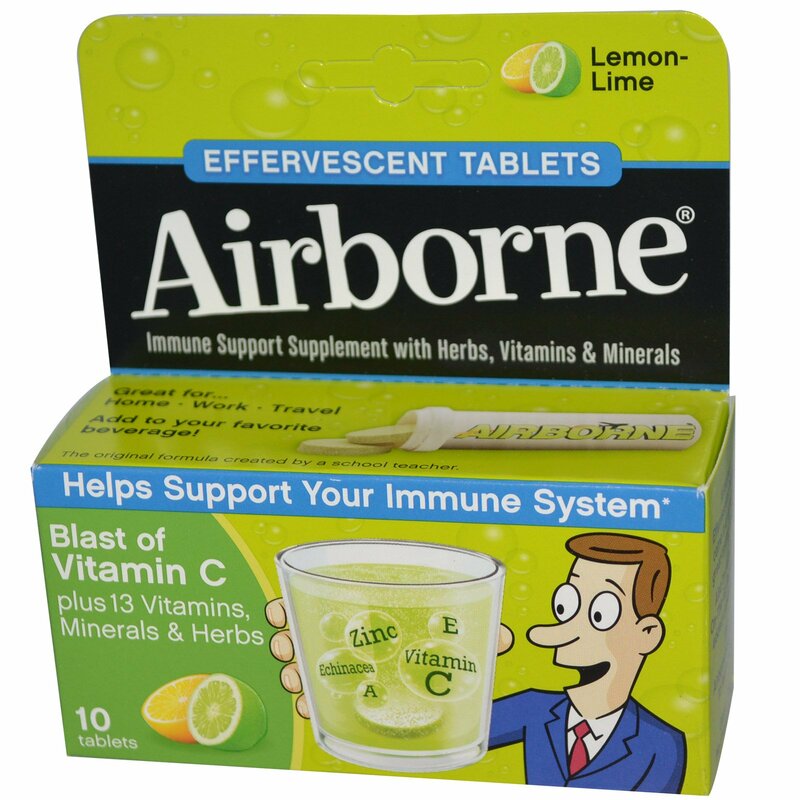 Airborne Effervescent Tablets come in a variety of great-tasting flavors. 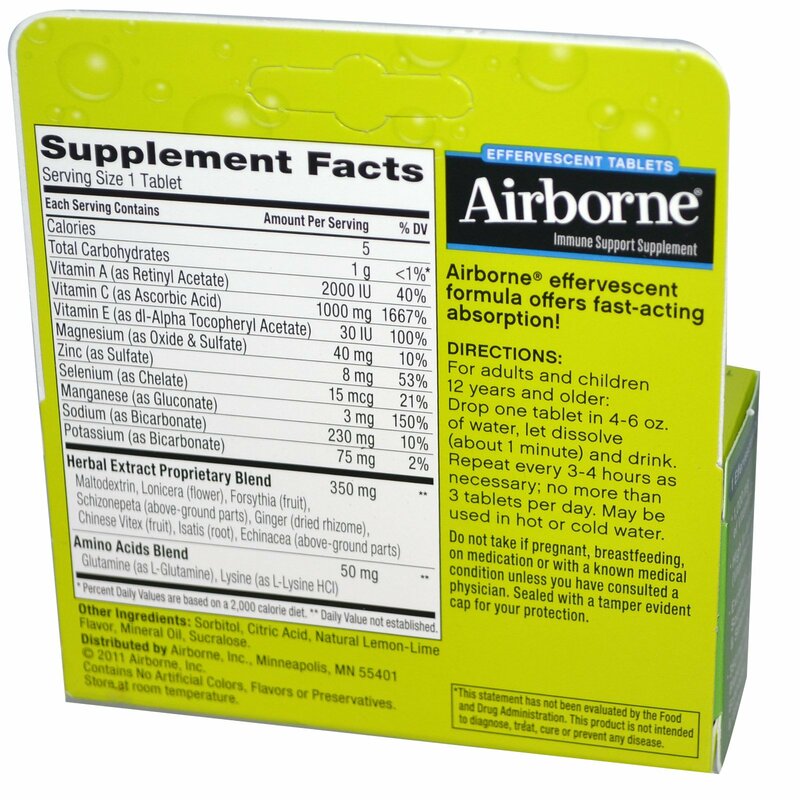 Airborne effervescent formula offers fast-acting absorption! For adults and children 12 years and older: Drop one tablet in 4-6 oz. of water, let dissolve (about 1 minute) and drink. Repeat every 3-4 hours as necessary; no more than 3 times per day. May be used in hot or cold water. Sorbitol, citric acid, natural lemon-lime flavor, mineral oil, sucralose. Do not take if pregnant, breastfeeding, on medication or with a known medical condition unless you have consulted a physician. Sealed with a tamper evident cap for your protection.